Anyone living in an Indian city, or in any electrified Indian village; and almost anyone living in a city across the world – from Bagdad and Basra to Cairo and Beirut, London, New York or San Francisco – can hardly escape the visual (and perhaps even aural) onslaught of Bollywood music. A mash-up of Hindustani and Carnatic classical music, contemporary western classical and popular music, big band jazz, and traditional music from heaven knows where else, Bollywood music is unique and very likely here to stay. When the idiom of Bollywood music collides with other idioms that inspire musical writing and performance the results can be quite extraordinary. Consider Bill Laswell’s Om Shanti. And now consider the young Shankar Tucker as well. 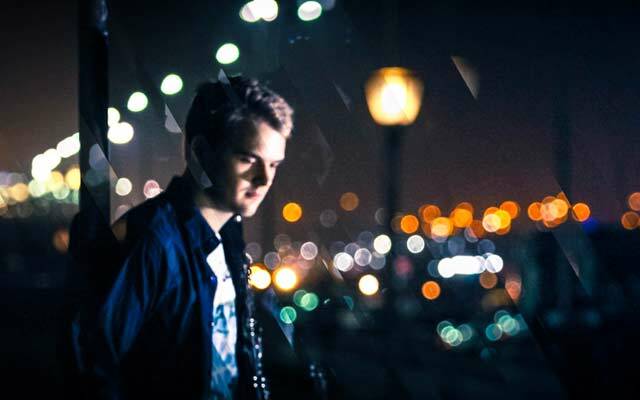 Mr. Tucker is a young clarinetist, also playing tabla, kanjira, piano, bass and guitar, received formal music education at Berklee and then privately, in India, from the great Indian flutist, Hariprasad Chaurasia. Shankar Tucker’s musical rise has been somewhat meteoric – beginning on YouTube where his compositions and performances have been featured, then spreading very rapidly across continents, where he has not been credited with two film-scores (for Indian language films) and a slew of compositions that have been featured on ShrutiBox, an ongoing series or internet music videos composed, orchestrated and directed by him. His remarkable grasp of the many musical idioms he references probably by being brought up by American parents who follow an Indian ‘guru’, who also named the boy and his cellist sister. Filament is Shankar Tucker’s first full length album and what a worthy debut it is. Mr. Tucker has seemingly raced right out of the gates with great leaps and proverbial Gangetic immersions into the world of Indian music. You might be tempted to imagine that Shankar Tucker is Shakti Redux, but perish the thought. It is my considered opinion that Mr. Tucker has managed to pull off one of the most original albums of this kind. There is really no precedent for judging its music; compositions, as I have said earlier, are as rare as the Bill Laswell album and now this. And despite anyone might say about the music of those two terrific vocalists, Kavita Shah and Deepa Chari, Mr. Tucker’s music is altogether unique. This has everything to do not only because of his acute Indian sensibility, as well as his virtuosity on the instruments he plays. Filament is primarily a clarinet album, however. The woodwind instrument may be comparatively easy to learn, but it is notoriously difficult to master. Consequently finding your own voice takes time and a great deal of erudition and gravitas. Mr. Tucker has both in spades. His tone-colours are sensational and remain moist and alluring; as if they are beckoning you to a canvas that holds much magic and mystery. This befits the musical metaphor. India after all, presents mysterious vortices that are impossible to resist. Shankar Tucker stands at the opening of these always dazzling with delights of his horn. He is clearly en route to becoming one of the major talents of our time; his astonishing verve, style and dexterity give the game away. Hear “Suite for the Moon” or “The Heart’s Prayer” (I cite only the English equivalents of the Hindustani ones, which are a mix of suggestive emotions – something like those from old, black and white Indian films) both of which feature his sister Akshaya on cello, where opening up the songs with fabulous growls, he sets the stage for playing with extreme virtuosity. You will, of course, be left breathless by the other repertoire on the album which is also superbly recorded and those who buy recordings for such things will be enchanted by this presentation. Track List: Come, My Beloved! ; Suite for the Moon; The Heart’s Prayer; River Song; Alaap; Lost in Smoke; In Search of Peace; Meditation; Remembrance; Kerala Boat Song; Liberation. 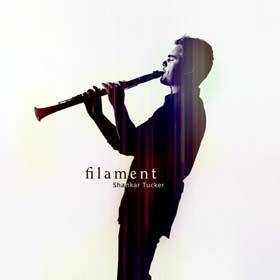 Personnel: Shankar Tucker: clarinet, guitar, piano, percussion and vocals and featuring various musicians too numerous to mention here.